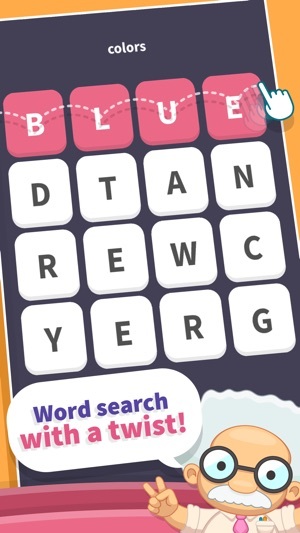 Word search with a twist! 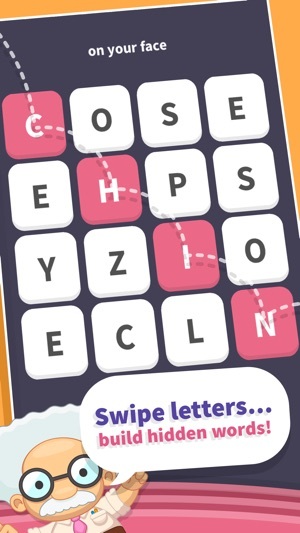 Very fun & addictive game, great for stress relief. Early levels are excellent for kids starting around age 6 but eventually get too hard, but that’s great because I was able to enjoy it with my kid at first and then went on to solve all of the rest of the puzzles on my own. 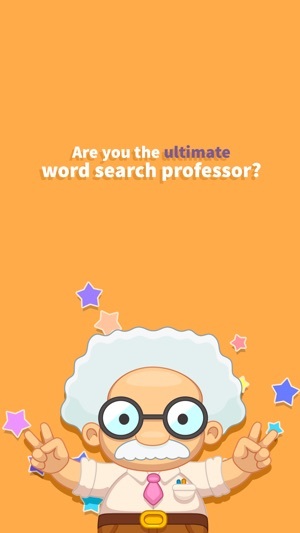 I am currently two words away from solving the last word search. 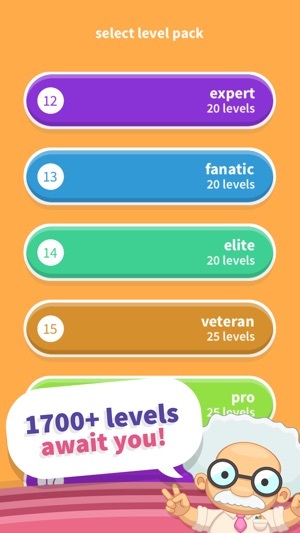 The most recent update that added new levels seemed to be A LOT easier than previous levels were, they should get more difficult as they go up (like they used to). Also, I recognized old puzzles that were added as new levels, which is just lazy (and almost makes me want to take away a star, but I won’t because I’ve enjoyed this app so much). I really don’t want to delete it but I’ll have to if new levels aren’t added soon. A few a week would be better than nothing or waiting months and months for a bigger update. 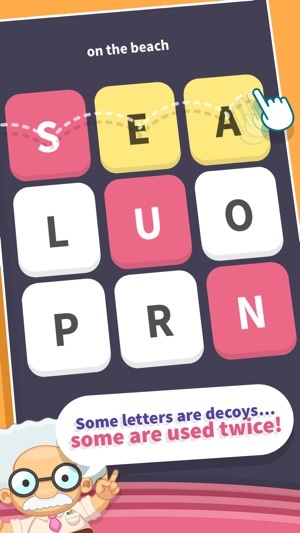 I really hope some kind of update comes out soon as I love doing these word puzzles to wind down before I go to sleep & the daily puzzles are great for that although sometimes I need or want a bit more. Although my initial rating was high for an fun and enjoyable game I have misgivings to add. I have repeatedly played short videos of advertisements to keep my cost low or $0 spent on games online or that I decide to download. With this game I am often told that I must watch the entire add. No problem accept I have repeatedly “Watched the entire advertisement and counted to 15 before pressing the “x” button to get my free points to use for hints, etc. I’m down to only 3.8% of users who get that far in their word puzzles to solve in their game starting at 100%. If others like myself have gotten this far only to delete this game app and quite, it has not been because the puzzles stumped them. If like myself, they wished to save money then it is because they too tired of watching the same advertisement ALL the way through only to be told they did not and had no way in settings to contact the games tech support staff at all, if they exist. I used to think this was a relaxing Fun challenge to relax with like a crossword puzzle, but the letters are right in front of you. Fun perhaps and worth a try. If you don’t mind tech issues without help available then it is worth your time. For example, a few things that I would change you could be allowed to put in your age or take a test so you don't have to go through the mundane, boring and/or overly easy levels; make someway adults are able to bypass the first 25 levels or so. However, the reason I wouldn't change anything about the game is because my 6 & 9 year old children love the early levels they are right up their ally and they both love to play the game. Only improvement I would make for my children is more levels that are easier for them. So that's why I gave it 3 stars because it has both good and bad things about the game... It's in the middle, I let my children play the lower levels and once it gets WAY too challenging for them, I take over and teach as well as enjoy the game myself. So, in conclusion; there is room for improvement however, it's a nice game that not only allows me to teach my children but also allows my young children and I to compete without them getting disappointed, or overly upset over a loss.